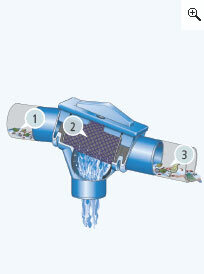 Rainwater filter for the installation in rainwater tanks. Due to the inclined angle of the filter sieve and its very smooth surface structure the dirt is rinsed into the sewer. Filter cartridge mesh in stainless steel within plastic housing. Retro-installation of 3P Backwashing Device PF + SF is possible. 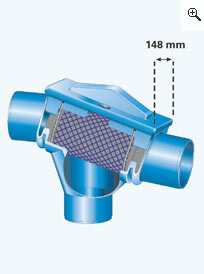 The 3P Patronen Filter is ideally suited for use in conjunction with a 3P Overflow Siphon Duo and the 3P Calmed Inlet. Low maintenance, the filter has to be cleaned depending on the contamination several times during the year. 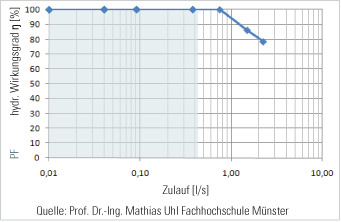 Connection capacity after DIN 1986 for roof areas up to 150 m². 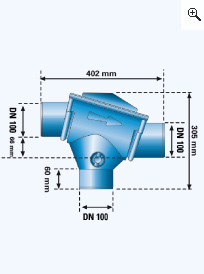 Small height difference of 66 mm between rainwater inlet and wastewater outlet. Mesh size of filter cartridge 0,7 x 1,7 mm. The cleaned water can be used in washing machines, toilet flushing and garden watering, in homes, in commerce, in public buildings and in industry. Durchschnittliche Regenspende in Deutschland zu 80% unter 15 l/(sxha), das ergibt einen Volumenstrom von 0,32 l/s bei einer Dachfläche von 213 m². 1. Rainwater is led onto the filter cartridge. 2. The filter cartridge cleans the rainwater. The cleaned rainwater is led through the calmed flow inlet into the rainwater tank. 3. 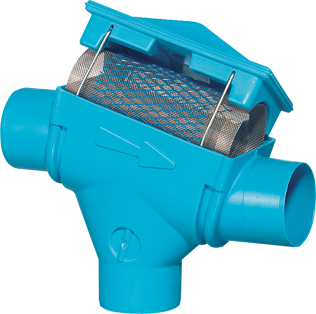 Due to the steep inclination of the filter and its smooth surface structure the dirt is quickly rinsed away into the sewer. Height difference between rainwater inlet and outlet just 66 mm.